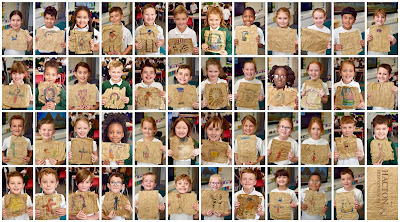 Year 4 began their autumn history and geography topic by making their very own papyrus-style works of art. Our eager Egyptologists discovered that the Ancient Egyptians were the first civilisation to use a thin, paper-like canvas for writing in around 3000 BC. This was made from the papyrus plant which was found on the banks of the River Nile. Did you know that the word 'paper' comes from 'papyrus'? 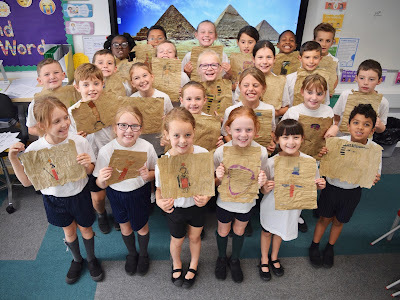 To make their own papyrus-style paper, Year 4 ripped brown parcel paper in to long strips. This was dipped in a 50/50 mix of PVA glue and water then laid out in rows, horizontally and vertically. After a couple of days, the paper dried, forming a canvas for drawing. 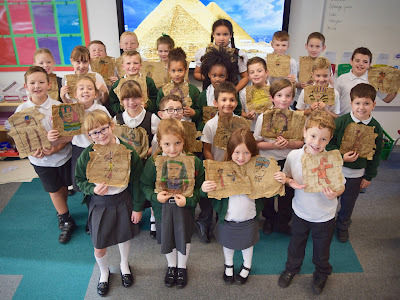 Egyptian Gods, Goddess and Pharaohs were sketched onto the papyruses. Ancient Egyptian felt-tipped pens (!) were used to ensure that lines were bold, and colours were bright against the brown paper. The children thought carefully about the size and proportions of their drawings to ensure that their artwork looked authentic. Year 4 gained a greater understanding of the hard work required by people in ancient civilisations to produce even simple things. 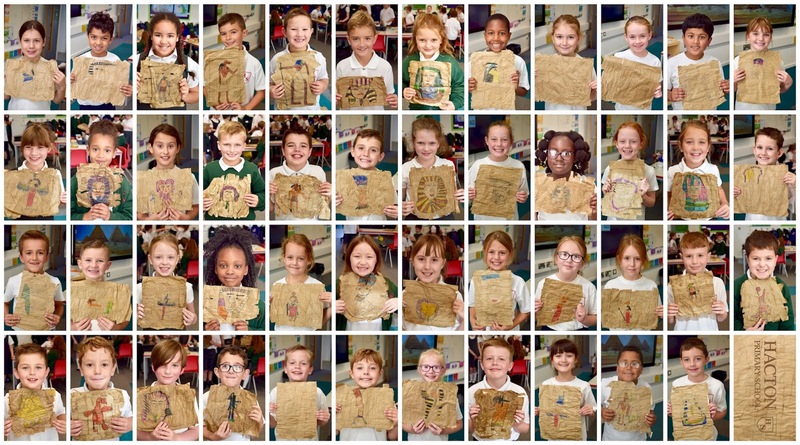 Our pupils enjoyed making their own paper, but they think they'll stick to exercise books for their written work in future!